After a job interview, it’s important to follow up immediately, while the meeting is still fresh in your mind. That way you can seize the opportunity to solidify your interest and qualifications with the hiring manager. Your thank you letter for a social work job should convey your appreciation for the interview and reiterate your most relevant qualifications for the job. You can send your letter or note via post, email, or attachment. 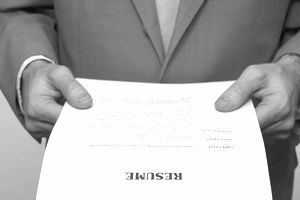 A business letter should be formatted correctly, and include your contact information, the date, and the hiring manager’s contact information at the top. An email business letter also needs to follow specific conventions, beginning with the subject line, so the importance of the content is clear. The subject should include both your full name and the proper title of the position you interviewed for. The tone and content of your thank you note will be the same whether you are sending it by mail or email. It should be concise, professional, and free of any typos, abbreviations, or slang. Begin with an appropriate salutation, followed by the body of your letter. In the body of your thank you letter, you should express appreciation for the time the interviewer spent with you, and their consideration of your application for the job. You can take the opportunity to reinforce some of your strongest qualifications for the position, mention anything important you omitted during your interview, and let them know of your strong interest in the job. Concrete examples or anecdotes can help illustrate what an asset you would be, and why they should hire you. Your conclusion will sum up your skills and interest in the position, and reiterate your thanks for their time and consideration. You should make clear that you welcome additional questions, and you can mention if you plan to follow up at a certain time. In your closing, you should be polite and professional. In a hard copy, your written signature would be followed by your full name typed. If you have attached your business letter, your contact information is at the beginning, so you would just type your full name. In closing an email, your contact information should follow your full name. The following is an example that you can use to get ideas for what to write in your own thank you letter for an interview for a social work job. Thank you so much for taking the time to meet with me regarding the position of Case Manager with your organization. The Helpful House offers a wonderful warm environment for those in need, and having met with you and some of your staff; I believe that my philosophy and experience would be an excellent match for the position. The Helpful House is unique among the facilities in this area, and I was impressed to see how beautifully it is run. Seeing first hand the difference you are making to the families who reside there gave me an even better understanding of your philosophy and how it is put into practice. It would be my pleasure to be a part of such a special organization, and I feel that I would be able to contribute there tremendously. As we discussed during our meeting, I was a Case Manager at a facility similar to yours when I was living in Boston several years ago. While there, I gained a fuller knowledge of the challenges that exist in the management of such a facility, and what an important role a Case Manager can play in helping things run smoothly. Tom Grey and Geri Brown do a wonderful job of overseeing the operation, and I look forward to meeting with them at their earliest convenience. Please let them know that I am very enthusiastic about this opportunity, and would be happy to meet with them as soon as possible. Again, I appreciate the time you took to speak with me and give me a tour.